Instant Indie Collection Vol. 1 Coming to Xbox One, PS4 | Nerd Much? It’s undeniable that the newest generation of consoles are fueling the rise of indie game popularity, thanks to both Microsoft and PlayStation getting behind indie developers and helping promote them with the monthly Xbox Live Gold Games and the Free PS Plus games. 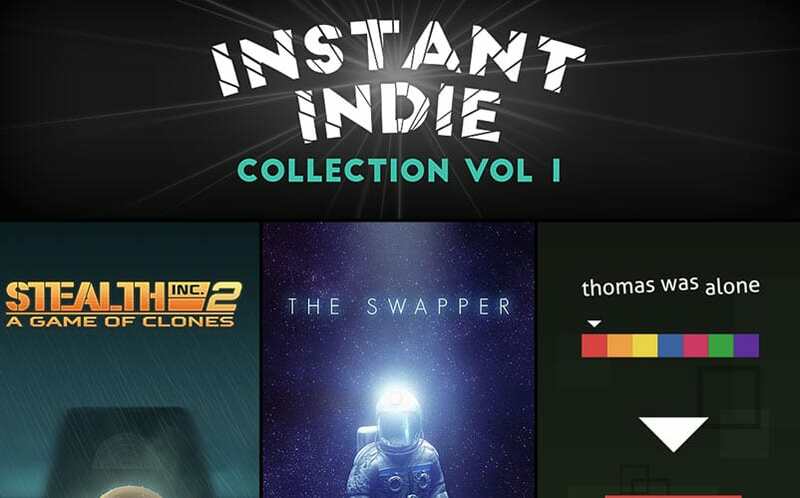 Today, Curve Digital has announced the Instant Indie Collection Vol. 1 for the Xbox One and PS4, as well as the PS3 and PS Vita. The Instant Indie Collection Vol. 1 will include three wildly popular indie games, including Stealth Inc. 2, Thomas Was Alone, and The Swapper for a total price of $22.99 (a 33 percent off the MSRP). Individually, The Swapper would cost you $14.99, Thomas Alone would cost you $10.99, and Stealth Inc 2 would cost you $9.99 currently on Xbox Live. According to Curve Digital, this release is just the first of future volumes, which will be released “semi regularly” from now on. Each collection will showcase celebrated indie games from across all genres. The Instant Indie Collection Vol. 1 will be released on Friday for the Xbox One, but it is available now on PS4, PS3 and PS Vita, and is a cross buy title. Stay tuned to Nerd Much for more daily nerd news. Are Indie Games Diminishing The Appeal of AAA Games?